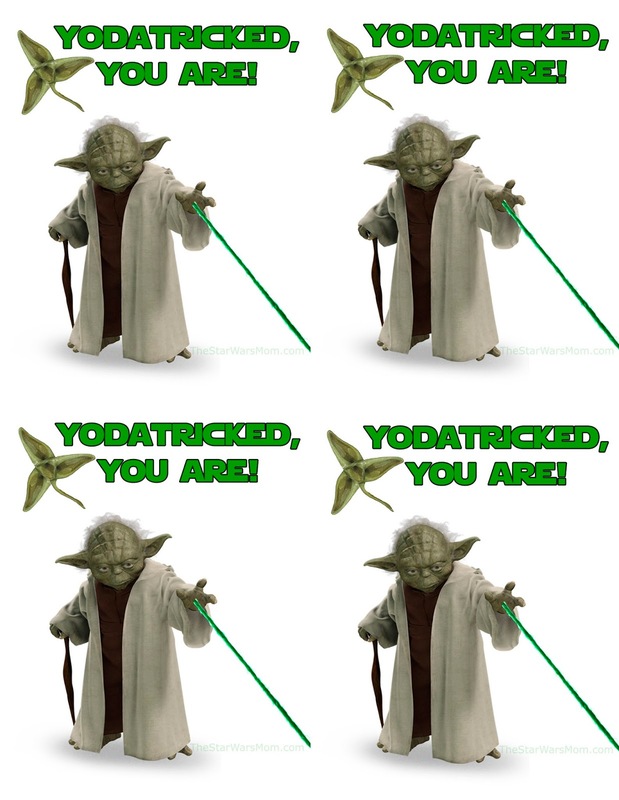 Yodatricked, You Are! Fun on St. Yodatrick's Day AKA St. Patrick's Day. 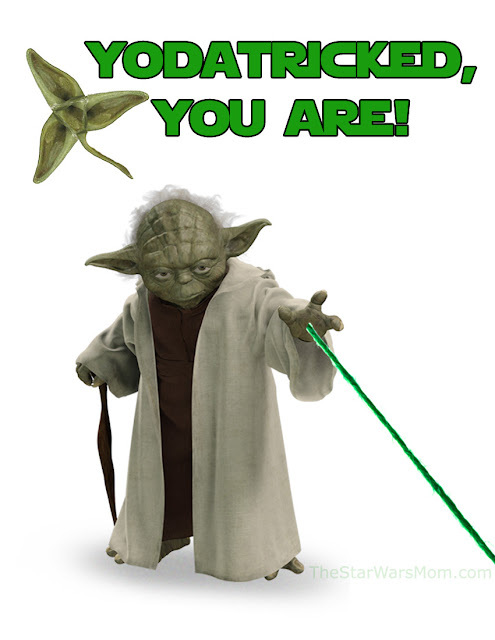 Happy St. Yodatrick's Day aka Star Wars Theme St. Patrick's Day! "Mom!!!! Why am I trapped in my bedroom?" "Ewwwwwww! Mom!!! Why is our milk green?" "Oh my goodness, the Lucky Charms box is filled with only green marshmallows!" Why? Because Star Wars + St. Patrick's Day = FUN FUN! In my home, we have mixed the fun of St. Patrick and a leprechaun to create St. Yodatrick...the bringer of Shenanigans! Everything on March 17th centers around St. Yodatrick! And my kids are absolutely delighted. They receive green yoda ear hat party favors filled with chocolate gold coins. See my St Yodatrick Party post for great ideas for a Star Wars theme St. Patrick's Day. My children find shenanigans on March 17th, which have been pulled by St. Yodatrick during the middle of the night. One time they even built a St. Yodatrick trap in hopes of catching him. But alas, he escaped, but not without leaving behind little bags of gold nugget gum for them. 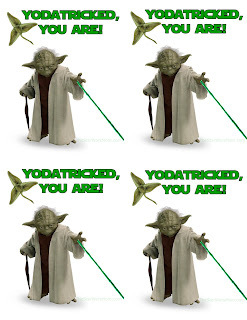 After they find the shenanigan, they also find a card with "Yodatricked, you are!" It's fun. It's a family tradition that binds us. And I'm quite certain they will pass this on to their Star Wars Kids!